At the request of the Conventual Franciscans designs for a devotional garden with Marian Shrine and chapel were prepared. The existing Franciscan convent would be added to with a new chapel for the friars. Using humble bricks as the principle construction material, the intention was for it to be partly built by volunteers from the local community and those interested in learning about traditional brick construction. To the south of the chapel was the so called Garden of the Immaculate within which was to be a shrine devoted to Immaculate Mary. 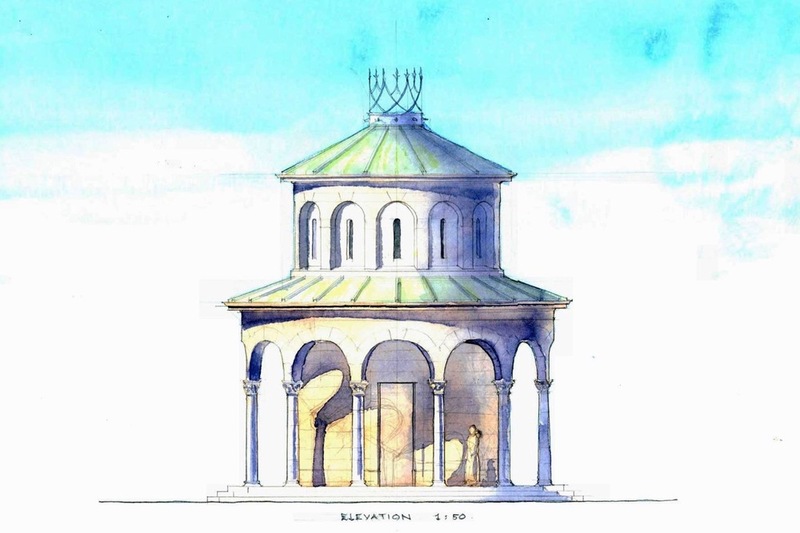 The design for the shrine is inspired by Bramante's Tempietto and the Pantheon. 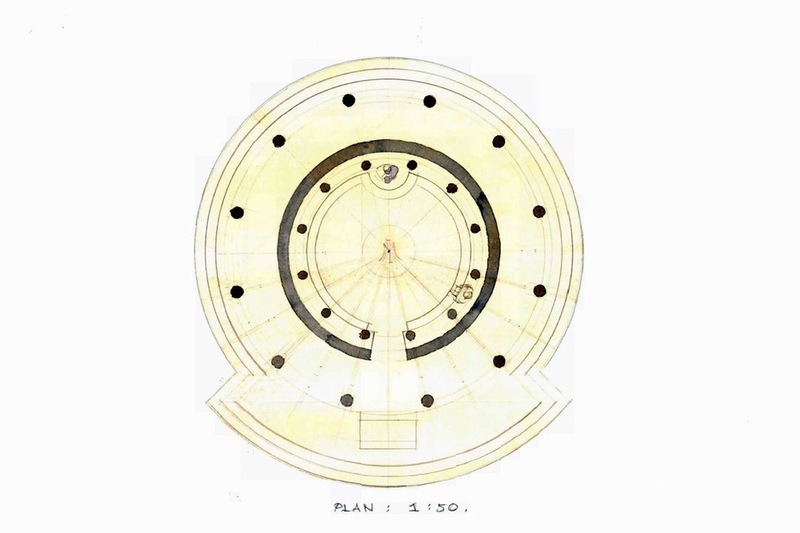 The circular building is a simpler vernacularised version of these grander antecedents.